The 2014 Royal British Legion Poppy Appeal has taken on an entire new aspect this year with Remembrance Day also being used to mark the Commemoration of the one hundredth anniversary of the outbreak of the First World War in 1914. 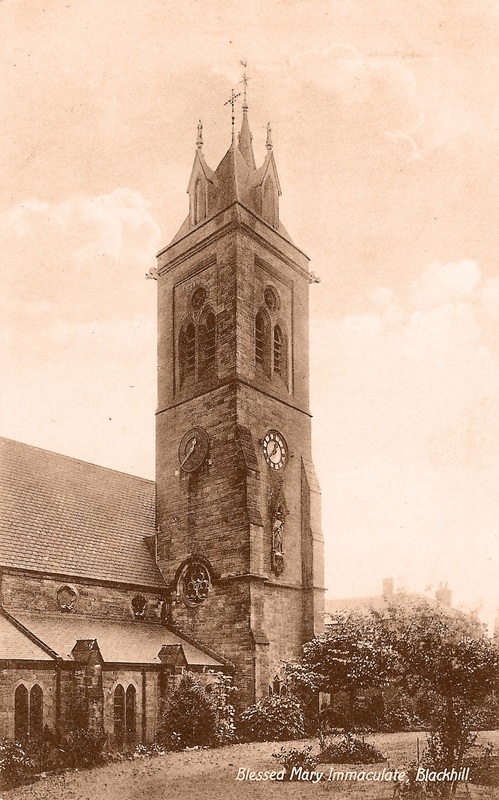 The Royal British Legion was set up in 1921 to support the families and carers of wounded British Services personnel, as well as the injured and disabled personnel as well. 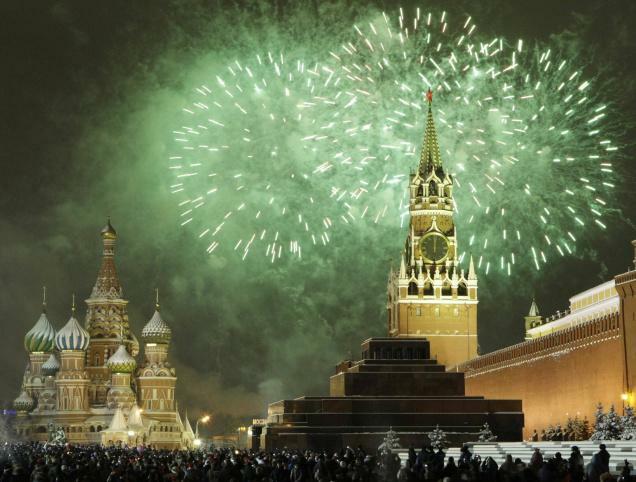 This includes all of the relevant parties that have been involved in, and affected by, all conflicts since the First World War. They are also the national custodian of the Remembrance, safeguarding the Military Covenant that exists between the nation and its Armed Services and, of course, the operation of the Poppy Appeal and its emblem, the red poppy. In the Stanley and Consett areas, the fundraising activities were overseen by the Consett and District Branch of the Royal British Legion and its team of volunteers. 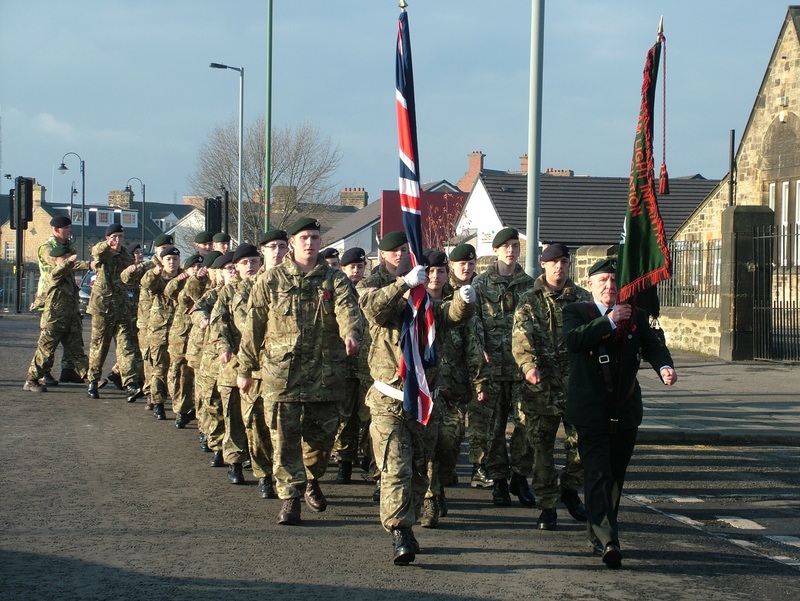 Who, over Remembrance Sunday, arranged and attended a number of services in Stanley, Consett, Castleside, Shotley Bridge, South Moor and Annfield Plain. 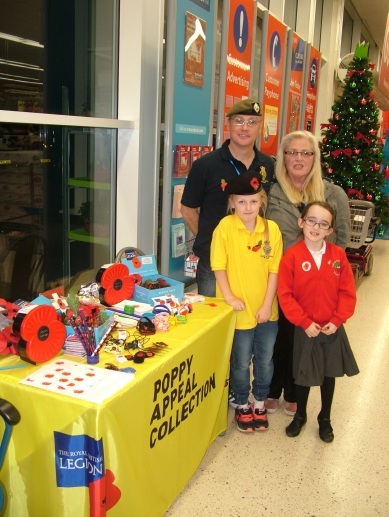 In addition to the ceremonial aspect of their work, the volunteers have been out raising funds with the support of local supermarkets ASDA and Tesco who, not only supported indoor displays and sales of RBL items, but also supported the Legion by having token-based collection towers. The Remembrance weekend fundraising was overseen by Annfield Plain Area Manager, Anne Musgrave. 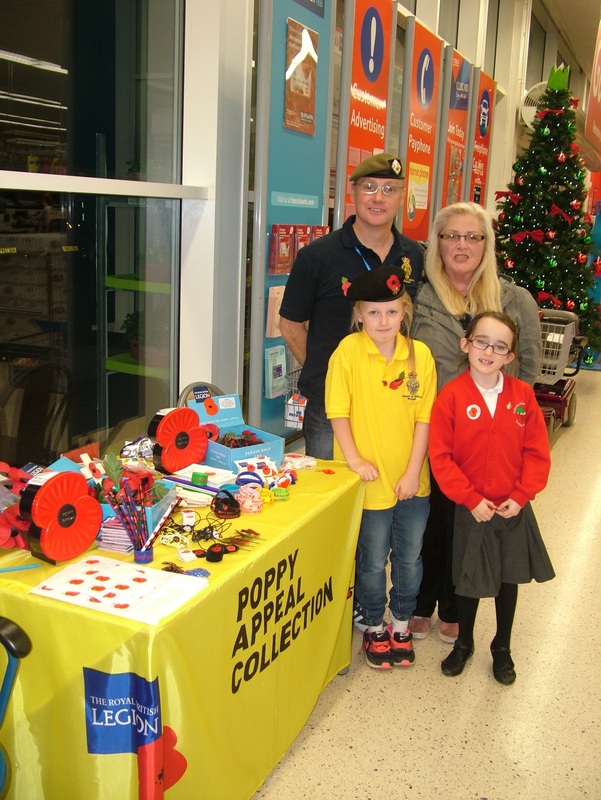 Also on hand were Consett and District RBL Chair, George McKay and eight year old Millie-Jo Richardson. And, joining in the fundraising fun was newly appointed eight year old Honorary Youth member, Chiana Gray. 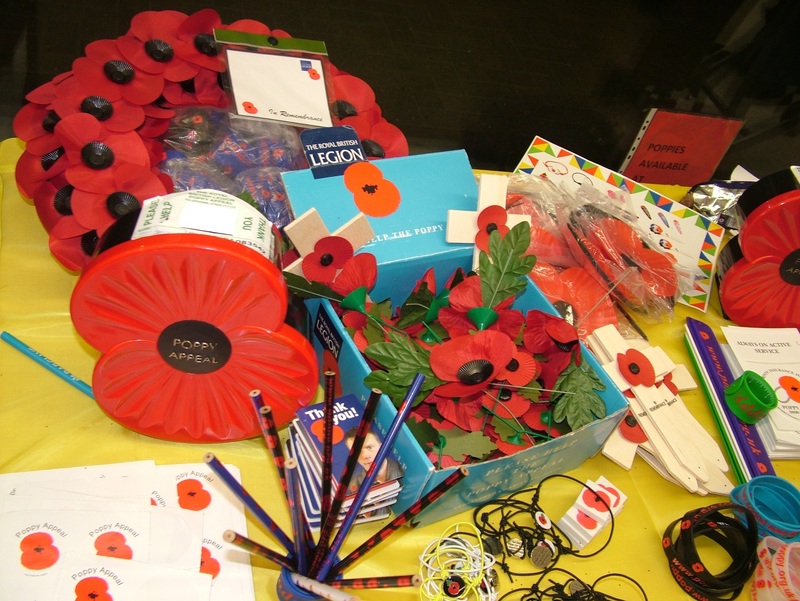 Other than the regular fundraising activities, the Consett and District Branch have also been responsible for supporting the many local World War One Commemorative events. Such as the excellent “Lights Out” event at the Stanley Civic Hall. There are many ways that the volunteers help to raise funds other than the aforementioned standard fundraising methods. They hold events ranging from Poppy-Picnics, Poppy-Cycling and many others. 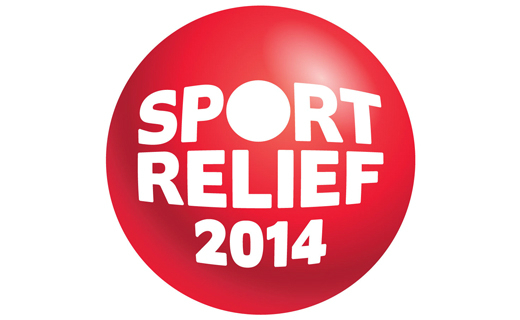 All with the aim of raising, this year, their national target of £40 million. 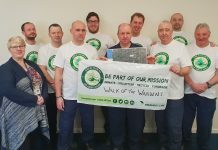 In 2013, the Consett and District Branch raised just over £8000 via their Annfield Plain and Stanley groups and are aiming to beat those totals in 2015. Despite a lot of attention focussed on the events in London, including the spectacular ceramic roses at the Tower of London, the people of the North East came out in increased numbers this year to mark both Remembrance Sunday and the Commemoration of the beginning of the First World War in 1914. Two events that will be forever linked thanks to the work of the Royal British Legion (Nationally) and local offices such as the Consett and District Branch of the Royal British Legion. 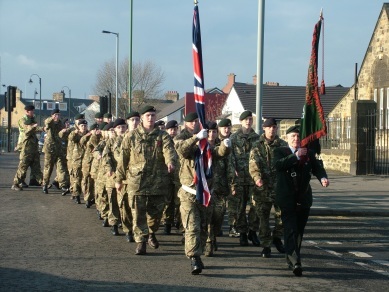 The Remembrance Sunday parade leaving Tesco in Annfield Plain on their way to the service at St Aiden’s Church. 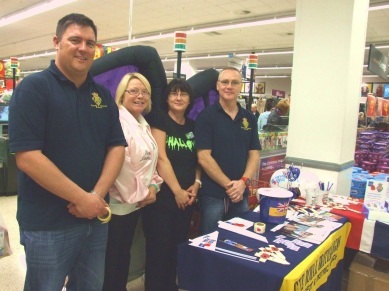 Simon and George from the Consett and District Branch of the Royal British Legion are joined by ASDA Management team Marsha and Anne.